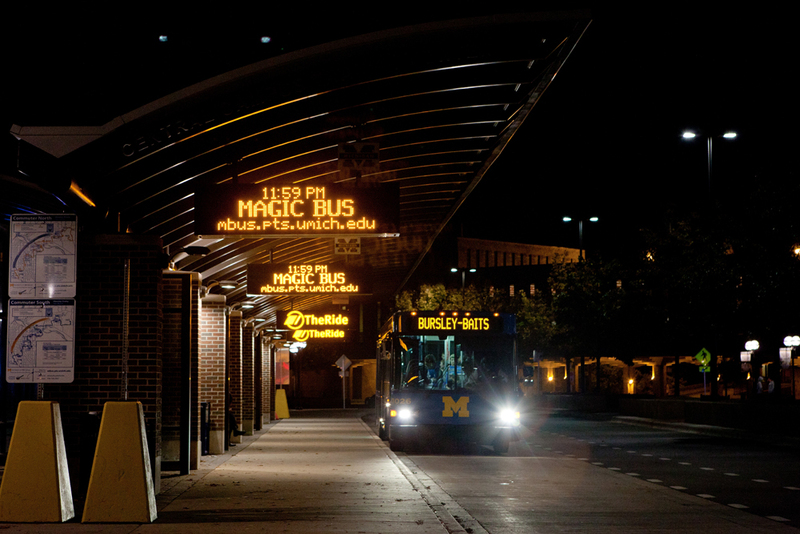 This is a service provided by the Ann Arbor Transportation Authority (AATA) and is a subsidized, low cost, shared nighttime cab service that travels within the Ann Arbor city limits. Each passenger pays a fixed rate of $5.00 regardless of distance traveled. Contact Night Ride for more information or to schedule a pick-up. A free service for students, faculty, and staff who live within a one mile radius of campus. This service is available Monday-Sunday from 2:00am - 7:00am. To use this service, an MCard must be presented. Riders can be picked up at the Shapiro Undergraduate Library, the Duderstadt Center, or the Cancer Center. To request a ride, call 734-647-8000. A free taxi service that provides a ride for students, staff, and faculty to a vehicle or home in an emergency situation. This service is avaiable 24/7. To request this service, contact U-M Police Department: 734-763-1131. This is a service from campus to the South State Street Commuter lot. State Street Ride begins when buses have finished running. This service is available Monday through Friday, 10:00 p.m to 6:00 a.m. To request a ride, contact Blue Cab: 734-547-2222. Look assertive and be aware of your surroundings. Avoid secluded and poorly lit areas, especially shortcuts through parks, vacant lots, and other deserted areas. Keep keys accessible and ready to use when approaching your building or vehicle.